Last night the Orange County Board of Education held the first of two special meetings to discuss the concerns of parents and educators with the Common Core curriculum now being introduced around the country. A standing room only crowd attended. This first exchange featured a panel of speakers, each given an initial 5 minutes to discuss support for the introduction of Common Core and opposition to same. The first comment was by Trustee David Boyd, who looked something like Gregory Peck’s Captain Ahab with a bad haircut and bad attitude. He launched into a tirade against the Tea Party and called for the meeting to be suspended. The meeting then proceeded. Next came pro and con appeals from 4 selected attendees from each side. One of them, representing an organization of charter schools, strongly supported the curriculum. Another, against, pointed out that the curriculum has not been tested or proven and that California has ranked #1 or #2 nationally in math and language skills using the proven curriculum. A mother told the story of her straight “A” daughter now struggling with her math lessons. “There are no books, and the teachers themselves are confused.” she said. The first panelist speaking on the “pro” side was Dr. Claire Cavallaro of Cal State Fullerton, who pointed out that 1/3 of college freshmen in California require remedial English and Math. (note: that would not seem to jibe with California’s ranking). She said that Common Core is new and misunderstood and threatening. She asked that the curriculum be allowed to roll out further and that the bugs be fixed. The next was Celia Jaffe from the PTA. She stated the state PTA’s support of Common Core and that it represented the latest in and most up to date thinking in education. It’s focus on critical thinking is essential for our changing economy and learning becomes more robust to paraphrase. The third pro CC panelist was Dr. Glen Thomas, who began the process of introduction of Common Core while State Secretary of Education under Arnold Schwarzenegger. His statement was a history of the process of introduction that was foreshortened by the 5 minute time limit. Last came Glen Warren, one Orange County’s Teachers of the Year for 2014, who spoke from a classroom perspective about empowerment and collaboration and creativity and information literacy. Powerful buzz words. The can the prepared remarks counseling caution. Robin Eubanks, a corporate counsel from Georgia spoke first, cautioning that the purpose of Common Core in the words of its developers is to shape the values, attitudes and perceptions of students. Underlying this are agendas far beyond simple education. Phrases such as “change of consciousness”, “positive social identity” and “identity, orientations and dispositions” are a subtext that runs through the core of Common Core. It is no longer about teaching our children how to read and write and prepare them for the next grade from Ms. Eubanks perspective, and she cited the very word’s of the curriculum’s developers to substantiate her claims. Next came Hugh Hewitt, a constitutional law professor and nationally syndicated conservative radio show host . He was brief and to the point. He noted that when United States Secretary of Education Arne Duncan tied federal funding to the implementation of Common Core it constituted the biggest power grab by the Federal government in 100 years. An issue of local and state control was federalized by fiat against the express wishes of Congress. Dr. Gary Thompson, a clinical psychologist specializing in early childhood development and special education then spoke. He opened by recounting the series of errors committed by psychologists in experimenting on their patients and cautioned the Board of Trustees not to institute and unproven and potentially detrimental syllabus on the children of Orange County. He presented a binder with multiple peer-reviewed articles on the effects of various parts of the Common Core curriculum on children. Last came Lydia Guiterrez, a Master Teacher and program director at UCLA, who emphasized the lack of transparency and lack of data on the success of Common Core to date. She spoke of the difficulties seen in school districts around the country that have had significant issues with implementation. She emphasized the lack of flexibility in adapting the standards to local needs because of federal requirements. Next came questions from the Trustees themselves. The first was from Trustee Lindholm who asked “why is the math in Common Core so hard and complex?” One of the pro-Common Core panelists stated that there is no evidence of this. Next came Trustee Beskell, who was to the point. He asked if Common Core was pre-Obama. Yes, stated one of the panelists. “Which states have opted out so far? ” Indiana came the response. Trustee Williams asked Ms. Eubanks about data mining. There are significant concerns about who has access to the data and how it is used and how extensive that data is in light of the NSA scandal and the efforts by companies such as Google and Microsoft in this field. Another question by Trustee Williams was “what is the effect of the gaming used in the classroom today and of virtual reality”. Dr. Thompson expressed deep concerns and noted that several of the medical papers he had earlier submitted indicated detrimental psychological effects. Trustee Hammond asked two very pointed questions of each panelist. “Would you enforce a law that was unconstitutional?” was the first. The second was if there is a federal law that allows control of local education. The responses were interesting. While the pro Common Core were both uncomfortable and mixed in their response, those expressing concern were unanimous in their desire to challenge the legality of such a mandate. Lastly, Trustee Boyd lectured Mr. Hewitt specifically on the cost of such litigation. Mr. Hewitt responded by suggesting that there are law firms and attorneys that might act on a pro-bono basis and that this might be investigated. What Mr. Boyd may not have known was that the Pacific Legal Foundation participated in a press conference just prior to the hearing in which they offered to take the case at no cost to the Board of Education. Oops. I am not an expert, but I do know that when the jargon clogs the language clarity is lost. When agendas are developed without transparency there is suspicion. When someone connects the dots on those promoting that agenda along with their financial interests and political dogmas, those suspicions are raised further. Editorials and polls indicate that trust in government is at an all time low regardless of one’s ideology. Just the other day President Obama joked that he could no longer help with his children’s math homework. 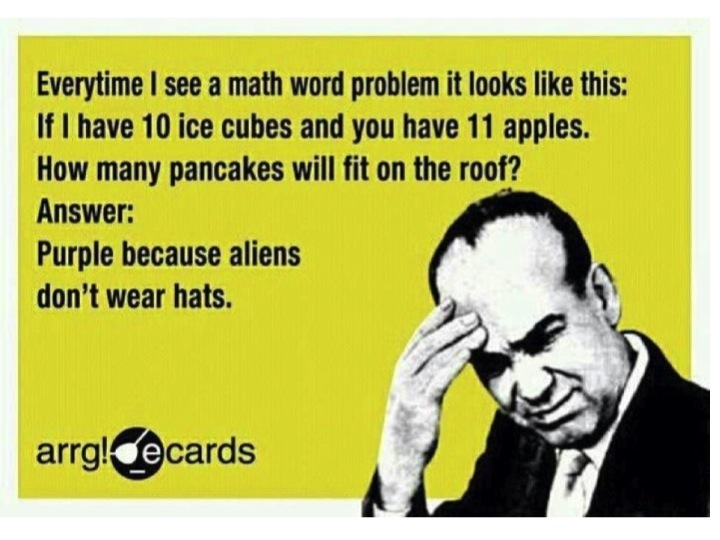 Anecdotal evidence of major structural problems within Common Core is building rapidly. One thing is certain. The science is not settled. This entry was posted in California, economics, Education, Law, Media, Politics and tagged Common Core, education by Matteo X. Bookmark the permalink. Common Core is another step in the total takeover of our education system by progressives. Their ultimate objective seems to be removing control of children’s education from parents and local school boards as much as possible. Parents are waking up all over the nation, and starting to fight back. I hope that the opponents of Common Core in Orange County are successful in their efforts. math, saying it was teaching kids to “estimate” in their heads, the way most of us do. Well, news flash, CC goons: We learned math the old fashioned way first, and then learned to estimate after we had mastered the basic skills. And we didn’t use stupid, nonsensical steps to learn how. If you read the curriculum of the state’s education standards your head will spin. Gobbledygook- pages and pages and pages of it- created by career academics who have to justify their $180k per year salary by creating pages and pages of unintelligible gobbledygook. It was just as confusing 14 years ago when I started home schooling- the first time I even looked at the “standards.” Common core has just made it even more confusing.